Hodgepodge pictures of the past today. My then roommate/best friend and I spent a lot of time teaching, but we were always looking for other ways to make money. At times we served as the night janitors for the school. On Holidays that weren’t national or state holidays, we would do daycare in one of our apartments for one day. Mostly the kids whose parents we were close to and understood. We also babysat kids from our classes. One of the nice things about being the teacher was getting to hang out with the kids after school as the babysitter. I babysat for four or five of the kids from my class. I also babysat for a couple of the kids in the other classes as well. At that time I stayed away from watching babies, I did from time to time but didn’t want to do that. I wasn’t ready for a baby then. Funny babysitter means when the job is done you get to go home. I think I liked that in my 20’s. That changed, I love being a dad. But there was a time when I just wanted to be a pal. The cool older person that came over to the house and hung out. I guess all of us grow up. The pictures of my hair, scare me. Yes, I once had that much hair on my head. Most of that hair has moved to other locations (like Florida, Mississippi and such like that there) no longer wishing to be seen on my head. 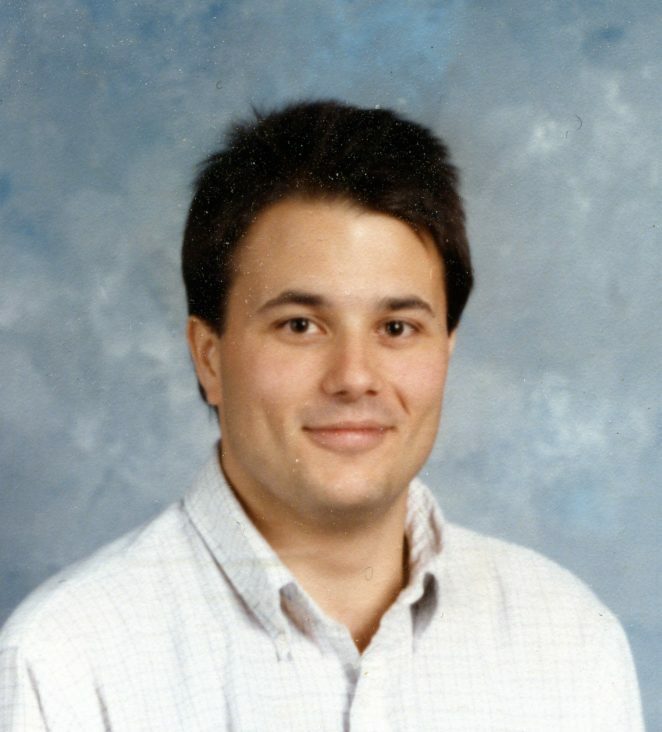 But then, in my mid-20’s, then I had hair. I do not remember my mother’s father having hair. He did, I’ve seen pictures of him, but by the time he appears in my memory, there was about the same amount of hair on his head that is on mine. I inherited my father’s early gray hair, and then like my grandfather my hair all left. Now there are only a few bits of hair left sticking around to the bitter end. Lo these many years, I toiled to keep my hair. In vain, or perhaps a measure of vanity. Not mind you that chasing lost hair matters anymore. What is gone, is gone. Chasing it does me no good. I am proud to be where I am now. I just wish I didn’t have to wear a baseball cap outside when the sun is up.